Managing different passwords for multiple sites is not an easy task. Password manager apps can be used to manage and automate logins for different sites. In this article, we discuss password managers that you can use on desktop, mobile and web. Surfing different sites and trying to login on each one of them from mobile can be cumbersome task. Android platform itself doesn't offer any good solution for password management. So users are forced to rely on Chrome or Opera password managers for password management. The same can be said for Windows desktop as it is harder to keep track of passwords. The password management options given below not only work on Windows but also on Android and iOS. This web app has add-on for almost every browser - Chrome, Firefox and Opera. Lastpass allows you to automatically sign into the websites. It allows you to store the password specific to the website. You can also set the delay for the time it takes to login to website. This is to avoid the captcha that comes in if you try to login too quickly. Lastpass has one password generator tool that you can use to set the password. All you have to do is make a note of master password to remember while login to LastPass. You can keep common password while filling up the form. Or you can also set different password for different websites. Lastpass gives you flexibility to do just that. However it is upto you to remember the base password with which you login into the addon. It also syncs the passwords with cloud, this prevents the loss of data if by any chance you remove browser or the addon. The service is premium and costs 25$ per year and includes Xmarks bookmarking subscription too. It also supports Android and iOS so you can take the subscription across multiple devices. If you are keen on securing your browser session and other websites without having to remember every password, then this add-on is a good start. All you have to do is start with free subscription at first and switch to paid one if your use justifies it. This is not a cloud solution to keep the passwords. It has a standalone desktop app that allows you to encrypt and store the passwords. And as you can expect, it does have a password generator. You can generate the password and use them for specific website. It can keep track of that password for you. It can be integrated with the Chrome using CKP extension. So you can easily sync with the local database. It is more of an offline password manager but it can be used on the browser too. However for that you need different addons. For Chrome it is called as CKP extension. In case of Firefox and Chrome it is going to be something different. You can also sync the encrypted passwords with cloud storage such as Dropbox or Google Drive. It is a good app to use on both browser and as a stand alone app. The functionality of the app is similar to the LastPass. However it also has the offline app for those who don't want the cloud feature. Price wise the app is expensive and costs around 40$. 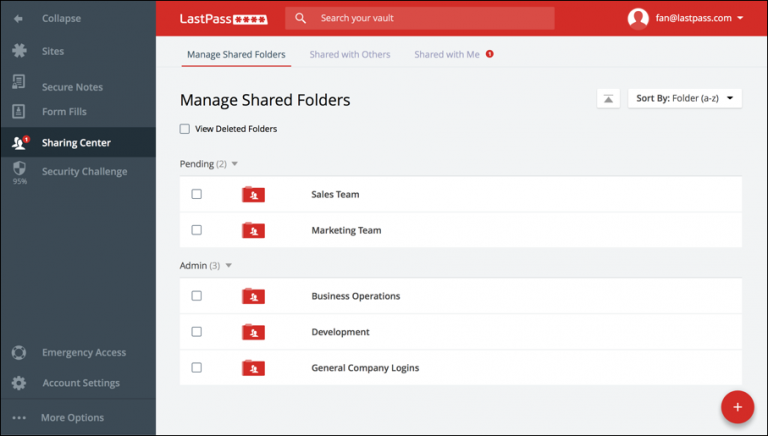 Compared to Lastpass you may find features more interesting. It also has the mobile app and browser extensions. So you are pretty much covered on almost every platform. You can find that the desktop app can take care of the most typical needs. And using the browser add on you can surf hands free on most of the websites. By default it offers Mac based desktop app. There is also one offline desktop app for Windows. It has password manager that allows changing of password and storing in encrypted form. It has cloud storage with digital wallet and security service. It also has premium version for small business users if you are using it for business purpose. Android app works just like browser extension and can help keep you auto login to the websites. Overall it is good enough for both free and premium usage. 1Password offers password management and secure storage on almost every platform. You don't get the free version of extension or services from this app. You have to purchase the 49$ subscription for the app. The Android and iOS app are relatively cheap at $7.99. The desktop apps works similar to Keepass. They allow you to create stronger passwords. And it can be stored with high level encryption. If you have purchased cloud subscription then you can sync it on cloud. Price wise this is one of the expensive password manager. And the amount of features that it offers are pretty much same like any other app. So unless your usage justifies app like this, it is better to stick to free alternatives. There are some good use cases of 1password but you can do away with most of the features on other apps. This app is popular for the login automation and for form filling. It offers secure password management and storage. Though you have to train the app a bit in order to get more control. However if you get used to using the software, It can save a lot of your time. The app is available on Windows and Apple desktop. It also supports Windows mobile, Android and iOS platform. For 9.95 per year the app is cheap enough regardless of which platform you use. There are few other apps and built in browser extensions that can take care of the password management. However built-in browser based password management are not often secure enough. In such case some of the free password management apps listed above can be really helpful. You can try each one of them and see which one fits your use case.